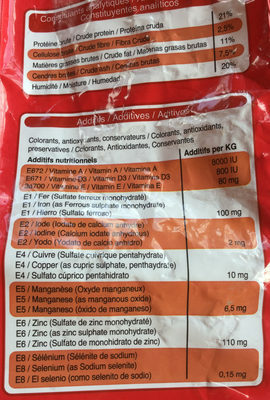 Vitamin E 8 mg ? ? Iron 10 mg ? ? Manganese 0.65 mg ? ? Selenium 15 µg ? ? Iodine 200 µg ? ? Product added on August 28, 2017 at 4:11:01 PM CEST by foodviewer. Last edit of product page on October 24, 2017 at 1:51:04 PM CEST by eva-et-luis.